'The Rising’ will be the first motion picture to dramatise the heroic story of the leaders of the secret rebellion that led to Irish Independence. THE FINAL MOVIE OF THE GREAT IRISH TRILOGY. ‘The Rising’ is gathering together one of the most impressive cast lists for an Irish movie including David O’Hara, Fiona Shaw, Colin Morgan and Brendan Coyle. It will also proudly showcase the debut movie performance of Micheál Neeson, in the role of Michael Collins which his father Liam Neeson made famous 20 years ago. Led by the filmmaker Kevin McCann, a professional crew behind the camera will craft a compelling dramatic movie. Supported by the Irish Film Board, Northern Ireland Screen and private equity partners, this film will respectfully remember a great story of Ireland and be an international hit in cinema theatres and across all movie platforms. Every nation and culture remembers their histories through storytelling. Film is an especially powerful way of reaching a wide audience. How many films have there been on the birth of the United States and the various epochs of French History? The Russians showcased the birth of their nation in a hugely successful production of War and Peace, and the British have numerous productions charting their history of conquest. Now equally the Irish culture deserves a film to educate a global audience about the history of our land and people in a powerful movie. “Over my career, I have been drawn into a creative inquisition about identity, place, history and belief. As we near the 100-year anniversary of Irish Independence, I feel it my duty as an Irish filmmaker to complete the trilogy of movies about its decade of change (1912 - 1922). 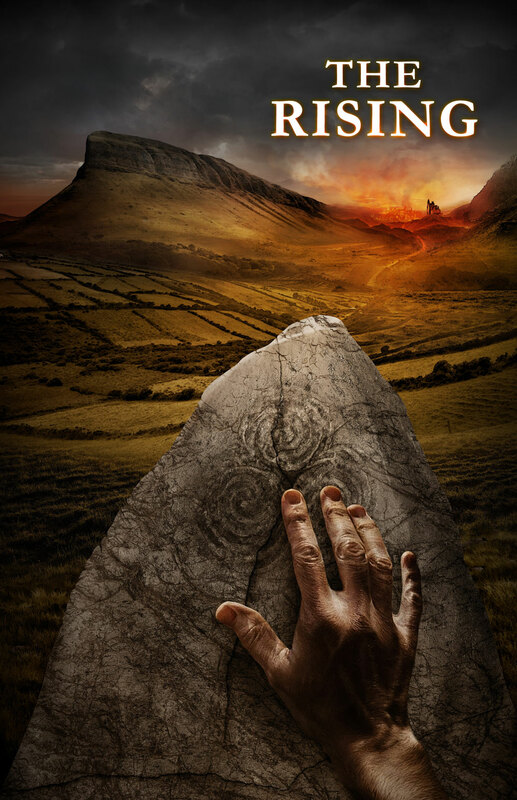 In 2012, I accepted the challenge to make the first movie about the Easter Rebellion which led to a rebirth of the Irish spirit out of a dark wasteland. Supported by both Northern Ireland Screen and the Irish Film Board, I met many people who want this movie to be made, especially cast members who kindly committed at an early stage due to their connection to the vision and material. For our magnificent screenplay, we did our research, stayed close to the accounts and yet 'The Rising' refused to present itself as a dry political war drama. It chooses to be a fact-based movie with a mythological and biblical power. It did after all happen at Easter at a time when Ireland was steeped in Christianity. This is the true story of heroic men and women who chose right action and sought freedom for their people. Significantly, it also explores many themes and issues relevant to today's audience. 'The Rising' is a true story that is as powerful and as vital as our greatest legends and mythologies.